IDIS Viitorul has launched for the first time the “Confidence Index in the Public Procurement System of the Republic of Moldova”, within the project "Cutting edge improvements in the public procurement system in Moldova through inclusiveness, creativity and low - abiding practices” funded by the European Union and co-financed by UK aid from the UK Government. 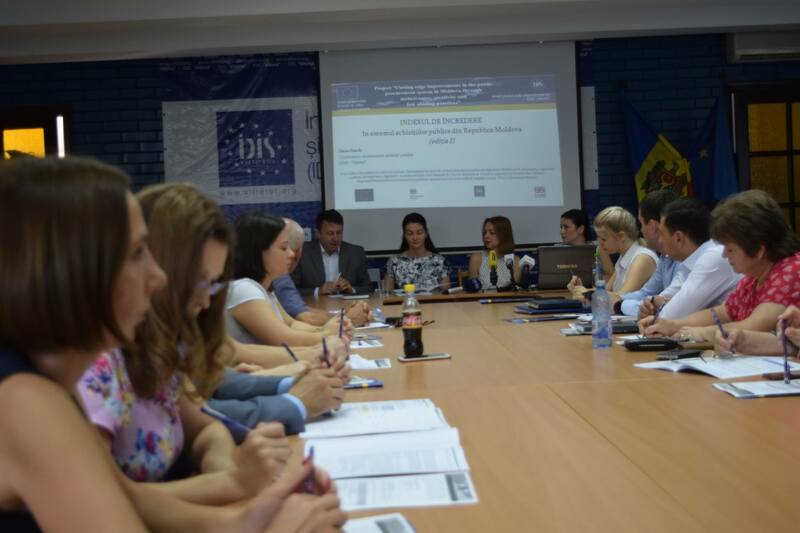 The Confidence Index in the Public Procurement System of the Republic of Moldova aims to bring in a complex and systematic way the perception of citizens and the business community on the national procurement system. The main objective is to foster a better connection between citizens’ and private sector expectations and decision-making process results conducted by public authorities. The public presentation of the first edition of the Index was attended by the representatives of the National Anti-Corruption Center (CNA), the Court of Accounts, the National Agency for Settlement of Complaints (ANaSC), the Public Procurement Agency, the General Prosecutor's Office, the National Bank, contractors, economic agents and the representatives of civil society. "Public procurement is an important area of the national economy, accounting for around 10% of GDP. But it is also an area of high corruption risks, as here the public interest meets private interests. Therefore, transparency and automation of the public procurement process are the key factors to ensure its fairness and efficiency. 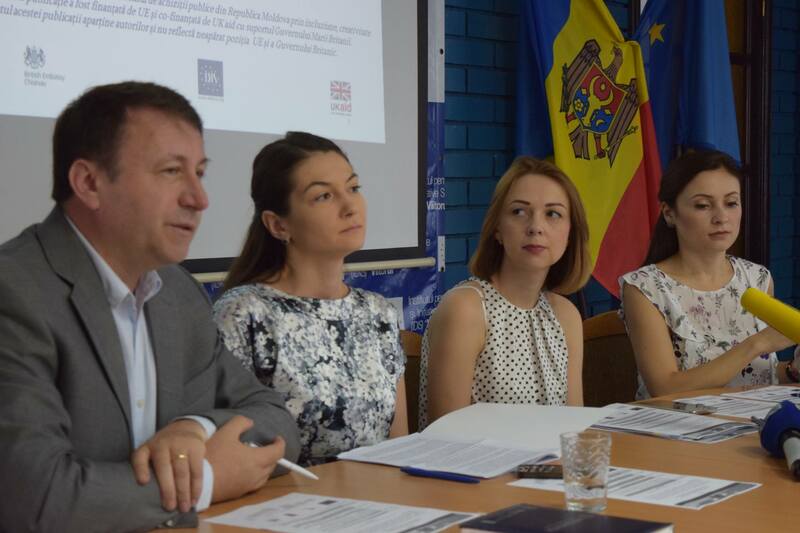 And the involvement of the civil society as an independent monitor and observer is important to ensure that the public interest is respected during the process", said Olga Crivoliubic, Good Governance Fund Projects Officer at the UK Embassy in Chisinau. Viorel Pirvan, one of the authors of the Index, has noted that during the interviews with the economic operators, the following problems were identified: lack of qualified personnel from the contracting authority, limited of access to information, drawbacks of the awarding documentation, requesting a large number of certificates, lack of genuine competition, modification of some provisions in the tender specifications shortly before the opening of tenders, conflicts of interest, bureaucracy. 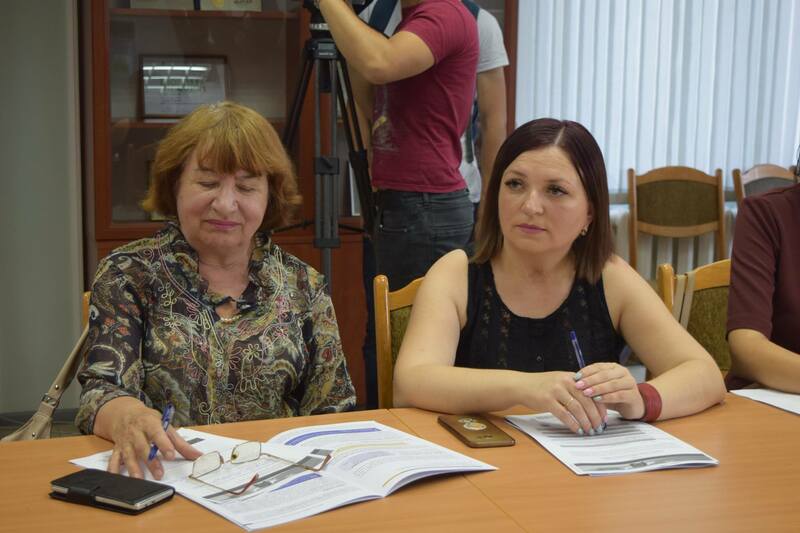 Carolina Ungureanu, the coordinator of the project, said that the respondents evaluated the efficiency of the public procurement system in Moldova on a scale from 1 to 5 (where 1 is the lowest rating and 5 - the highest rating). The picture shows that about 61% of respondents give a low and extremely low rating, 24% - average rating and - 15% of respondents give a high and very high rating. Using the same rating grid, more than half (52%) of respondents consider low and very low the level of transparency and access to procurement data, 38% - granted an average rating (3) and only 10% - a high rating (4). A worrying fact is that only 14% of respondents grant a high and very high rating to the availability of public procurement monitoring instruments in Moldova and only 5% of respondents give a high rating to the integrity of the procurement system. Among the recommendations of the respondents are: enhancing transparency through publishing procurement contracts, implementation of electronic procurements that would cover the entire procurement cycle, application of sanctions for each infringement, licensing of public procurement specialists to provide consultancy to authorities and companies, criminal liability of all decision-makers involved in defrauding purchases, with extensive property confiscation. The participants at the public presentation of the Index agreed during the talks that a concerted involvement of all actors (regulators, contracting authorities, economic agents and civil society) is needed in order to make the Republic of Moldova's public procurement system more efficient. "Although controls are being carried out and violations are detected in certain procurement procedures, they are not held accountable or even if criminal files are opened, then they are classified. In order to streamline public procurement procedures, advocacy campaigns are needed to inform citizens, who are more involved and interested in how public money is spent”, explained Eugenia Rosca, President of Concordia AO. The Confidence Index in the Public Procurement System of the Republic of Moldova can be viewed here. For further details, please contact the press officer, Victor URSU, at the following address: ursu.victoor@gmail.com or 069017396.